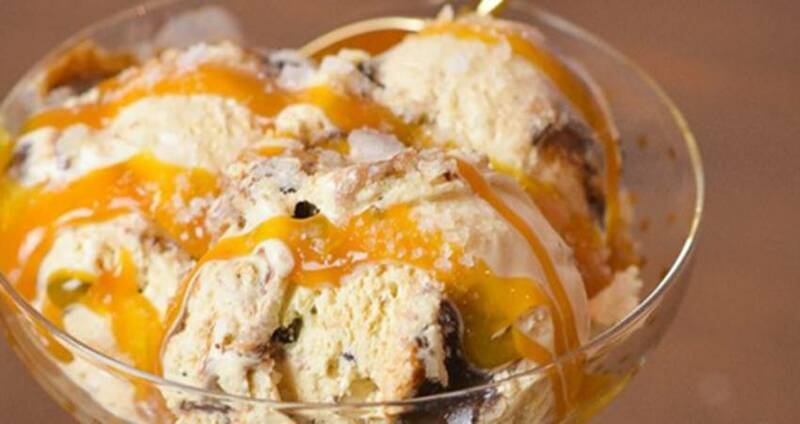 Eight Sweet Treats to Cool Off With in Raleigh, N.C.
Summer weather is here! Cool off while indulging in these eight treats in Raleigh, N.C. From milkshakes to smoothies, the destination will surely satisfy your sweet tooth. Available only during the summer months, the macaron ice cream sandwich at lucettegrace is a must! This quaint shop located in downtown Raleigh is featuring a new sandwich flavor, which starts with milk chocolate ice cream that&apos;s layered with chocolate-covered Larry&apos;s Coffee espresso beans and coffee ice cream. The flavors rotate based on popularity, so get ready to be surprised with delicious, creative flavors when you stop in! Flavors so far have also included raspberry pistachio, passionfruit mango and birthday cake. Operating out of a camper attached to a pickup truck since 2015, Two Roosters Ice Cream is set to open its first brick-and-mortar location in North Raleigh just in time for National Ice Cream Day (July 13!). Known for inventive but refined flavors that use local ingredients (a fudge ripple flavor that uses Slingshot Coffee Co. cold brew, pecan sticky bun using products from Yellow Dog Bread Company, cinnamon sugar using Sola Coffee Cafe&apos;s famous mini-donuts and more), Two Roosters has built a much-deserved loyal following in the Raleigh area. Pro tip: Get a cone go for multiple flavors! Don&apos;t let the name of this smoothie fool you! The strawberry cheesecake smoothie at Juicekeys certainly tastes amazing while also featuring immune building ingredients like vitamin C and other healthy ingredients like ginger, wheatgrass and turmeric. Do your body and health some good while you sip on this icy, flavorful treat! Smoothies flavors also include apple pie, "Green Goodness," piña colada and more. When it&apos;s hot out, head to Escazu Artisan Chocolates to cool yourself down with one, or two, ice cream push pops! Be a kid again as you enjoy this gourmet version of a favorite childhood treat. This local chocolatier features a variety of push pop flavors like chocolate, spicy chocolate, coconut chocolate (dairy-free), coconut passion fruit (dairy-free), caramel chocolate chip and vanilla chocolate chip. FRESH. Local Ice Cream recently opened a location in the heart of downtown Cary, and you can also head to the original location in Raleigh. Of course, the ice cream is not to miss but the soda floats are also excellent. Just pick your favorite fizzy drink like root beer, Coke, orange cream or Sprite. Coming soon to Cary, Andia&apos;s Homemade Ice Cream is opening a brick-and-mortar store in just a few weeks! Make plans to try Andia&apos;s doughnut ice cream sundae, which includes a decadent glazed doughnut with Andia&apos;s ice cream in the center. It&apos;s warmed and topped with chocolate or caramel glaze. Another interesting offering that will be available at their new shop is the ice cream cannoli. It&apos;s just like eating a cannoli but with cannoli ice cream instead of cream! Look out for their delicious salted caramel ice cream, too. You can currently find Andia&apos;s Homemade Ice Cream at the Raleigh Downtown Farmers Market plus various food truck rodeos until their shop opens. Located in downtown Raleigh&apos;s Warehouse District, Videri Chocolate Factory offers frozen hot chocolate. Sip on this icy, chocolaty beverage as you tour the factory and see the chocolate-making process right before your eyes. Don&apos;t forget to grab a few chocolate bars to take home with you, too! Looking for more fun things to do this summer? Take a look at our 40 hand-picked experiences for your summer bucket list!